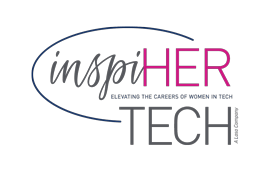 InspiHER Tech Proudly Hosts the Women in Technology Meetup for April: Winning at Career Transitioning! Whether a novice or industry veteran, career transition can be challenging. We may know the software, industry, product category or technology platform we want to work in — but it may not be in our background. Does that stop us? Of course not. Regardless of your past, the limits on your potential are the result of your role models, connections, and strategies. This is especially true for women in male-dominated industries such as tech. Connects you to trailblazing female founders, investors, and advisors! Be sure and catch Laurie and other powerful women as they coach Tech Founders on their funding pitches! If you feel misaligned with your role, are underpaid or curious about how you can get more out of your next career move, this is for you. Take Charge is your career advancement launch pad. Get online coaching, accountability and a community to take your career to the next level. Looking to hire great people? Start with the interview. Attend the FinFoundHer showcase event with 2 days packed with content to help you build and scale your business. FinFoundHer is an experiential learning event for women entrepreneurs at all stages of the fundraising process. We bring together funders and founders in order to create a climate of understanding and success for both sides. Our goal is to create a healthy, self-perpetuating ecosystem by helping today’s founders succeed and become tomorrow’s funders. Laurie will be leading a workshop on Building Inclusive Teams. An immersive, conference-style gathering designed to inform, challenge and inspire women in Information Technology to elevate their careers + retool businesses for an inclusive IT work culture to the benefit of all their employees and their bottom line.